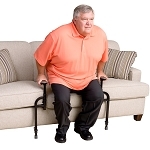 Carry personal items while using your walker. 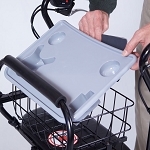 Allow walker users to carry mail, newspapers, or personal items. These decorative cotton tote bags have pockets in the front and back that are held in place by hook-and-loop closures. 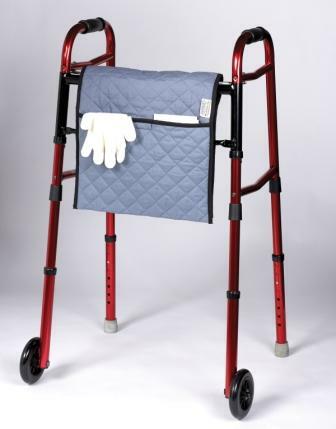 The Double-Sided Quilted Walker Bags allow walker users to carry mail, newspapers, or personal items while walking with a walker. 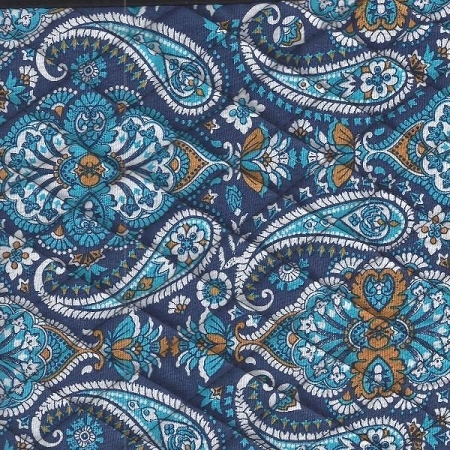 These decorative cotton walker tote bags have pockets in the front and back. 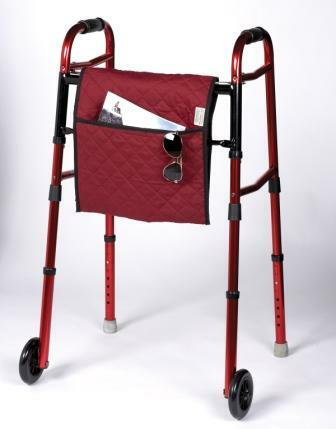 The Double-Sided Quilted Walker Bags are held in place by hook-and-loop closures. 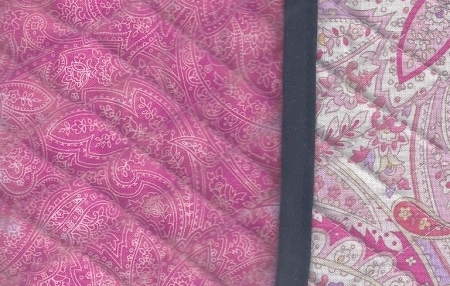 Choose from the solid gray or burgundy, or the printed blue or burgundy fabrics. Pocket dimensions: 13 inches wide, 9 inches long. Bag dimensions: 13 inches wide, 14.5 inches long. Colors: Printed burgundy, Printed Blue, Solid Burgundy, Solid Gray. 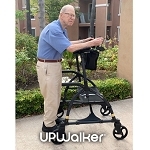 This is a well-made product that provides a convenient way to carry small items while both hands are guiding the walker. I liked the quality and double -sided pockets of the bag. 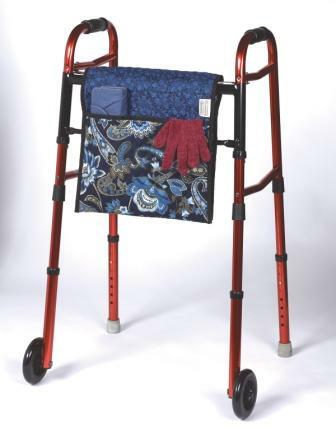 However, my Mom's walker has a double rail which prohibits the velcro from lineing-up evenly. Causing it to slip down. Product more than adequately holds my small stuff. This bag moves along the walker bar it's slung over. I think this is more amusing than annoying, but if ever a problem a couple inches of double sided tape should easily fix.